It has been a while since we’ve released a fan article, but finally we have a new one for you. Firstly, if you want to know more about fan articles head on over to our Article Submission Board on the forums. Now, this piece is written by forum member Ryan Kennedy, who goes by the alias Perry Radica, and is a fan-review of the award-winning fan-made film, The Legend of Zelda: The Sage of Darkness (official trailer above). Be warned that while the review has minimized spoilers, some minor details may be spoiled if you do choose to read. As well as the review, details on how to view the film are below. The Legend of Zelda fan films have been the talk of the town for the past few years. There’s a lot of dedicated fans that have even put in the time to make full length feature films about them such as ‘The Legend of Link’ . Over the past few years, things have stepped up a notch since the IGN April Fools Trailer for The Legend of Zelda and expectations have been high. The recently released ‘The Triforce Prophecy’ was entirely over shadowed by the high standards of fans since IGN’s trailer as well as BMB’s ‘The Hero of Time’, one of the more well known attempts at turning the beloved franchise into film, which released less than a month later. Most fan films undoubtedly have a lot of heart, but very few have really captured our imaginations. 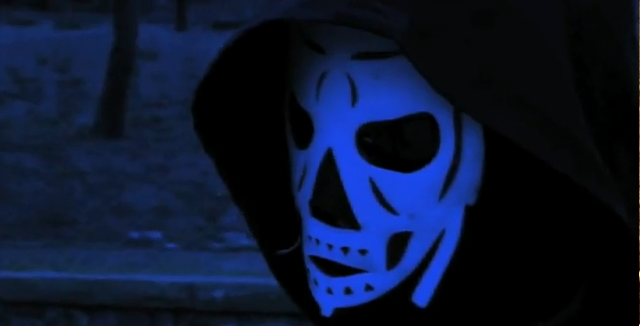 What most of these fan films lack, is attention to detail in the story, but that’s where ‘The Sage of Darkness’ prevails, an underdog high school kids’ project that is sure to surprise any fan with its engrossing story and attention to detail. Directed by Josh Dixon, this film was an off-time high school project shot in the orange county area of California, USA. 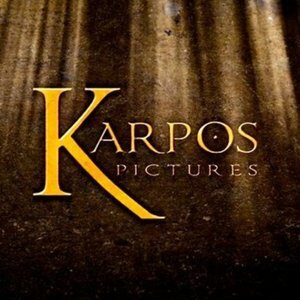 The project was lead by producers Josh Dixon and Dan Hogan of Titus Studios, now under the title of Karpos Pictures. They started pre-production all the way back in 2005, the project wasn’t fully finished until September 2008. But how does a backyard project of a group of high school kids compare to the rest of world of Zelda fan films? The story is one of The Sage of Darkness’s outstanding achievements, the original plot was outlined by Dixon back in 2005 but Hogan soon took over as the main screen writer when he joined the project later on. 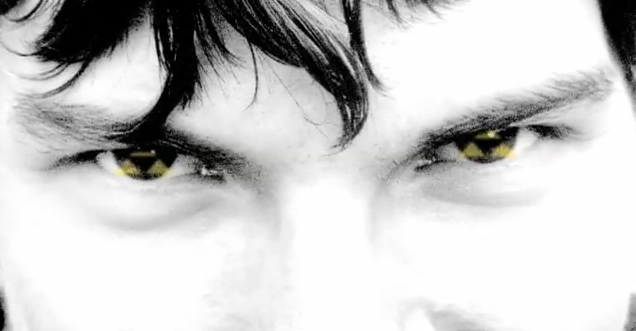 Dixon than instead focused on the directing and editing side of the production. The other mentioned films ‘The Hero of Time’ and ‘The Legend of Link’ simply can’t hold a candle to the well structured plot, excellently written dialog and attention to detail that holds the script together. The story is new and different, yet at the same time, still The Legend of Zelda at its core. Most of the backstory is loosely based on Ocarina of Time and A Link to the Past, however The Sage of Darkness adds its own lore to the table that add a surprising amount of depth and originality, all while keeping everything feeling Zelda. Hogan created a very good balance between the existing material and adding new plot, as well as adding various references for the core Zelda followers. The prologue kicks things off with giving Zelda fans everything they want, Link, Zelda, Ganon, the Triforce and an epic duel between good and evil. It sets the stage for “The Cycle of Eternity”, this cycle is the constantly repeating event of Ganon rising to power and the hero of time defeating him. The question is then asked though by the narrator “But what if someone evened the scales?”, suggesting that this time, things are going to be different. The film then begins with Princess Zelda, played by Natalie Feldbusch, who confronts Ertegun, played by Connor Osborn. Ertegun is the villain throughout most of the film and the opening sequence explains that he is the prince of Gerudo Valley and is trying to seize control of Hyrule. Whilst he shares similarities with Ganon, the character also differs from him as well. This creates an interesting contrast between the two when Ganon appears later on in the film, however over all Ganon’s involvement in the plot is minimal. After the main titles roll we meet Link played by Dan Hogan and Kyrin by Blake Henderson. Kyrin is another additional character to the cast and serves as Link’s naive younger brother. The next few scenes do a very good job of setting up the film and unlike the games they give Link a proper motivation as oppose to just a divine destiny. Link lost his parents years ago and is now trying to run a farm on his own with just his brother. Ertegun’s troops are occupying the land and village that Link and his brother live in, often threatening local peasants demanding large sums of money or rupees over trivial reasons that the townsfolk can’t afford to give. Of course soon, enough is enough and Link journeys to Hyrule Castle to try and find some answers. It’s a welcomed change of pace for the story and one long overdue for Zelda games and fan films alike. Without giving too much of the plot away the other two characters worth mentioning are Davik and The Sage of Darkness himself. The Sage of Darkness throughout most of the film is shrouded in mystery, even as the film closes you will likely still have questions. His voice needs no introduction, as it is absolutely awe-inspiring to listen to his narration, which is pulled off flawless by Dan Hogan. A little part of you will go giddy like a school girl every time he talks, add the element of mystery and you get one of the most interesting characters the film has to offer. He really helps to create that movie magic. Davik, played by Michael Stevenson, doesn’t appear until near the middle point of the film, but don’t worry, there’s no major spoilers here. Davik is one of the royal guards of Hyrule Castle, who eventually takes Link up into the hills for training for his next battle with Ertegun. Davik is an experienced warrior and as he explains to Link this isn’t the first time he’s been a teacher. Davik is a character that rapidly evolves throughout the second half of the film, becoming a more complex character as the plot unfolds. He plays the role of the guide for Link, to train him and steer him into the right direction. The plot throughout the rest of the film has its fair share of twists, most of which are cleverly written so they aren’t too predictable. You’ll continuously be surprised where the story goes even after the credits (hintidy hint hint). The plot will keep you guessing but it won’t stray too far so that everything gets too complex. Again the writers have found a very good balance between the two, helping to create an immersive experience. Action scenes are appropriately placed and help break up the narrative nicely. You’ll rarely be overloaded with too much dialog or too much action. Obviously with a low-key fan film there’s not going to be a five star cast, but the line up is still very strong. Dan Hogan is by far the best Link we’ve seen to date, fan film, fake trailers and television series combined. Link is an incredibly believable character in The Sage of Darkness and Hogan pulls him off fantastically. We get to see many sides to Link, some angles of how we perceive him in the video games and some new sides which the film sheds light on. Hogan’s involvement in the writing also allows him to read the lines as they’re written perfect to the script, giving him a huge advantage. He’s no Johnny Depp or George Clooney by any means, but he still pulls off a very believable performance and will hold the throne as the best Link for quite a few years to come. That is until another fan film finds a way to exceed the caliber of The Sage of Darkness. His voice work on the film is also incredible and it’s easily the best acting performance in the entire film. It’s one of those voices that you will never forget. You may be surprised that Hogan plays this role as well, surprised as anyone else who watches the behind the scenes where it’s revealed that Hogan voices the Sage of Darkness. Complimenting Hogan is Natalie Feldbusch who plays a decent Zelda. Most of her performance is on par with the rest of the cast but a few lines sound way too stagnant. An example of this would be some of her lines during the scene where Zelda explains the creation of the world. While most lines are fine, some fall flat and sound like she’s reading straight from a script. It doesn’t happen too often to put you off, but it can be enough to take you out of some scenes. Luckily though most of these issues only reside is the first half of the film, Feldbusch’s performance is solid throughout the second and third acts. Although slightly off topic, when comparing Natalie Feldbusch to Hannah Fierman there are some key differences. There has been a debate over which one is the more credible Zelda. Hannah Fierman is a professional actor and it shows very easily in The Hero of Time, however she suffers from a lot of appallingly written dialog that often makes her look out of place. Natalie however, although not a professional actor she has the skills necessary, the writing holds her character of Zelda firmly and apart from a few stale-read lines, she pulls of Zelda very well. In short, bad writing killed Hannah Fierman’s Zelda. Michael Stevenson portrays Davik, the trainer, very well. At the beginning he’s quite a basic character but he evolves into a very complex one, a journey through character development is quite a hard to master but Stevenson pulls it off exceptionally well showing a large array of emotions after starting out as a character that shows barely any. With so much of this relying on the actor, it’s quite a feat for Stevenson to pull off this organic evolving performance. With that said though he suffers some of the same problems as Feldbusch, a couple of lines again fall flat, but in a different way. While some of Feldbusch’s lines sound too scripted, Stevenson at times over plays the lines, making them sound too dramatic or they just don’t sound genuine. Again it’s nothing major but it can again put you out of the mood at some important moments. What’s also noticeably odd with Stevenson though is that on the behind the scenes feature they included a quote of him going out at night and fighting random people on the streets. It just really seems out of place and makes you wonder why it was included. Other than a few minor hiccups though the performance is well done, given the not easy task of a character that changes so much. Connor Osborn is much like Feldbusch and Stevenson. He plays Ertegun very well but suffers on a few badly read lines, though the performance gets better throughout the film. One of the key things with Osborn though is his use of facial expressions, not many other characters seem to be able to express themselves with just their face alone. At many points Ertegun doesn’t need to say anything, you just have to look at the smirk on his face, the anger in his eyes or the sarcastic smile and you know what is going through his mind. Ertegun being an inexperienced villain is also slightly tough himself, although not at the same level as Davik. Ertegun is evil yet also childish and naive. Osborn like the others still pulls this off very well. After hearing what was basically the same criticism for the last three actors we’re onto an exception, Blake Henderson as Kyrin. It’s hard to find any stale or over done lines read by Henderson, his performance is incredibly fluent throughout the film, on par with Hogan’s. Although Kyrin isn’t as deep or fleshed out as Link or the Sage of Darkness, it’s still one of the better performances of the movie. He’s a very believable 12-year old boy. The other actors such as Nick Brys and Steve Hogan also made brief appearances throughout the film. These actors who play side characters mostly pulled off their characters very well, especially Steve Hogan as the village elder. Overall the casting for the film was rather good, often showing improvements as the film progressed. The action sequences were rather well done… most of the time that is. One fight scene taking place on the road near Link’s village seemed to be under par to the rest of the action in the film though, the quality seemed to be missing. Everything was too slow and the goons or soldiers of Ertegun really didn’t look very authentic. I mean a Gerudo goon in jeans and a hoodie? This wouldn’t be as bigger issue if basic costumes weren’t included in other fights, for some reason though, it almost seems like this fight scene was very rushed as it lacks precision like the rest of the action sequences. There’s also an absence of tension in this scene as well, which is unfortunate considering there’s a powerful story moment during it, you’ll have to watch to find that out though. In contrast, Link training with Davik is pulled off exceptionally. The sword fights start slightly slower using just sticks, but things gradually increase in pace and soon enough they’re fighting at full speed with the swords out. The cut between dialog sequences helps to keep the tension going between the two and the action keeps you well interested. The action seems very well choreographed. This shows more and more as the fight scenes go on with a very good battle scene taking place in a small dessert-like area later on. However I won’t go into too much detail to avoid spoilers. Needless to say the action for the most part is top-notch, except that one scene mentioned earlier. Obviously with a low budget film you aren’t going to get the best locations with a truly authentic feel, but the sets of The Sage of Darkness are passable for the most part. The most standout scenes location-wise are the castle, the old ruins and the scenes with Link running through the hills, fields and forests. The castle is definitely its strong suit and while there are a few stacked chairs in the background at times or modern glass windows, it’s mostly a believable place with a bit of imagination. One of the biggest gripes I have with the film location-wise though is the house or area where the village elder lives. It seems to be shot on the side of a pool in some tiled recreation area. I’m stumped on why the creators choose this place to shoot some of the scenes, some of which are vital to the plot as well. It’s incredibly off-putting. The other locations apart from these are fairly good as well, it’s just that area the village elder lives which seems out of place. Being a low budget film you also might see the occasional street light, in door light, power line or carpeted floor but these are easy to overlook. A little bit of imagination will take you a long way in The Sage of Darkness, so on the whole, the locations are believable enough to grab your attention but at times you may lose focus. Although filmed on a low budget it isn’t shot on some crappy $200 camcorder. The film quality is decent and is helped with mildly good cinematography. Some night scenes instead have been shot in the day and a simple filter has been applied. Add in some crickets in the background and the night scenes work pretty good. There are some instances where the film enhancements show cracks but again like the other problems with the film, it’s is mostly minor and forgettable. The Sage of Darkness uses a significant amount of added effects both 2D and 3D. Most of these do the job well enough but they’re nothing special. They are appropriately placed and rarely over used. It’s still nice to see some extras using blood packets to split out blood when they die, showing the creators didn’t rely too much on very basic bland blood spatter effects in post-production. It also adds a little extra authenticity to some scenes. The costumes for the film are surprisingly good for a low-budget film. Link’s clothes are obviously just a cosplay costume but it looks a step higher than a usual one. Each main character has a costume that generally fits the era of Zelda, as well as most of the extras, apart from the before mentioned troops of Ertegun who were wearing jeans and a hoodie during one of the fight scenes. The movie as a whole though has majority of actors in suitable costumes and not just dressing gowns either. The effort put into some of them is very noticeable, it’s just those few chinks in the armor that ruin it. The Sage of Darkness’s score is a collection remixes and orchestrations any Zelda fan has likely heard before. It’s mostly made up of tracks from The Hylian Symphony with some in-game compositions, a few other remixes and some non-Zelda tunes as well. There’s even a piece from Howard Shore’s score from The Lord of the Rings. I’d usually have a gripe with this, due to a lot of other indie or student productions using Lord of the Rings music but it’s only a small piece and it’s very well placed. Not very often will you ever be impressed by the music though, The Sage of Darkness’s score is mostly a forgettable one. 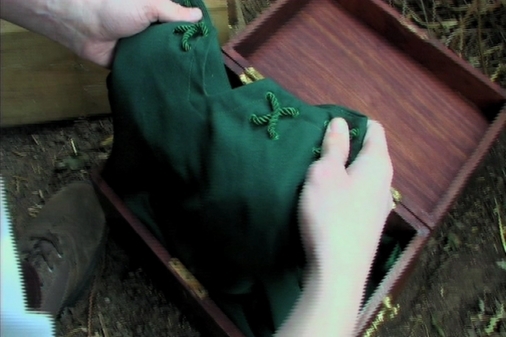 It does do a decent job of holding the film together though. As a whole The Sage of Darkness is exceptionally good as long as you’re able to be completely driven by the plot and ignore the low production values and presentation. There are many twists and turns yet also familiarity with not just Ocarina of Time but the Zelda series as a whole. 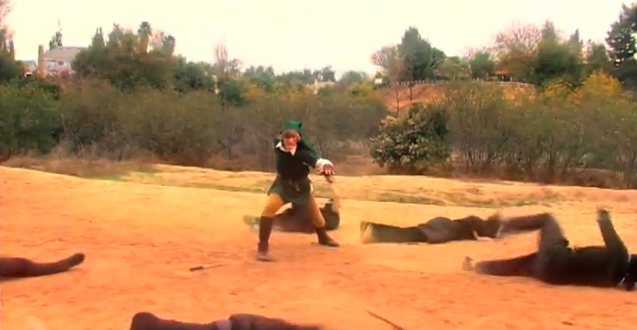 It’s also one of the best performed Zelda fan films, excelling above The Hero of Time in most cases. Let’s face it, David Blaine as Link isn’t too hard to beat, but Dan Hogan certainly pulls Link into the world of cinema exceptionally well. The supporting cast is also a good line up with people who are actually able to play their lines, something usually not found in other Zelda Fan Films. Although the presentation is sometimes lacking its passable enough to get you through the story. When you can ignore the occasional street light or piece of modern furniture in the background, you’ll be rewarded with an incredibly engaging story and some of the best fan fiction of Zelda out there. Even if you struggle to be engaged with a movie that doesn’t have the production value of a full commercial movie, The Sage of Darkness is still worth your shot as a Zelda fan. The focus on story is a breath of fresh air in a world of poorly written fan films. The Sage of Darkness easily takes home the gold medal as the best Legend of Zelda fan film to date.